– Plant the seeds in the early spring (mid-March for zone 6b). – Allow the plants to mature. 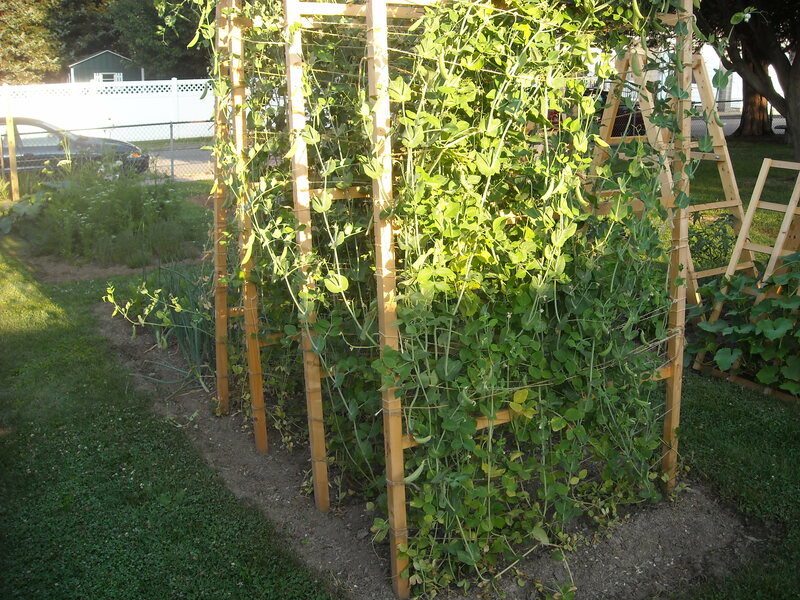 – Once the sugar snap pea pods are mature, I harvest them to eat. 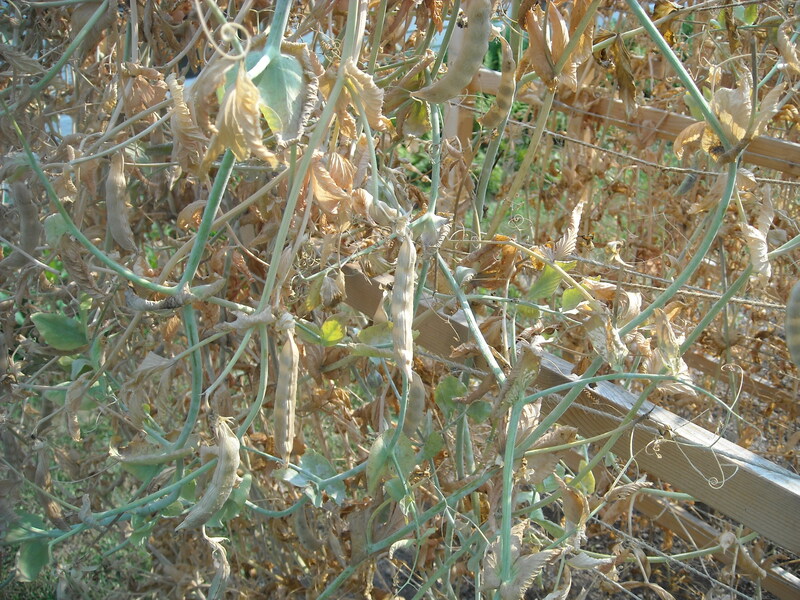 – After several weeks of harvesting, the plants begin to look like they are drying back at the very bottoms. At this point I begin to leave pods on the plants to mature for seeds. – Within a few weeks the plants are usually completely dried back. 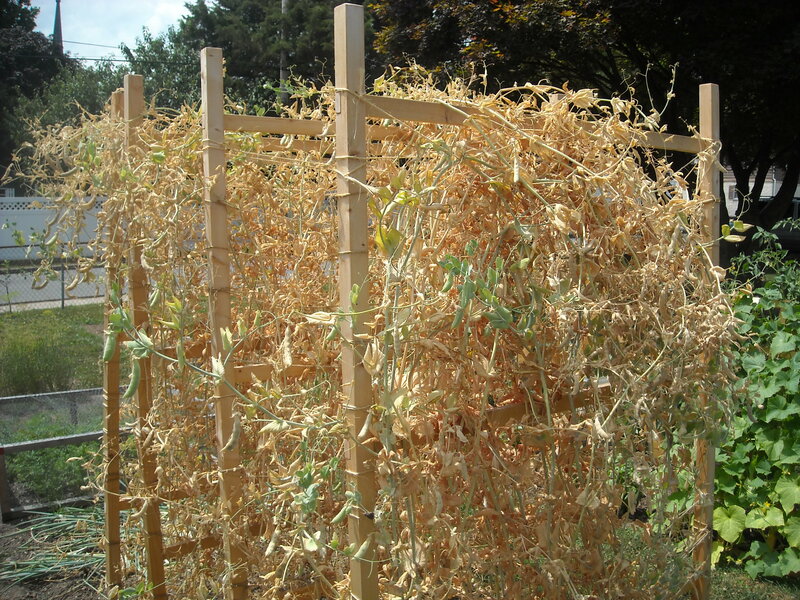 – Once the plants and the pods are completely dried, I begin to harvest the large pods from the best plants; usually the tallest plants with nicely formed pods. 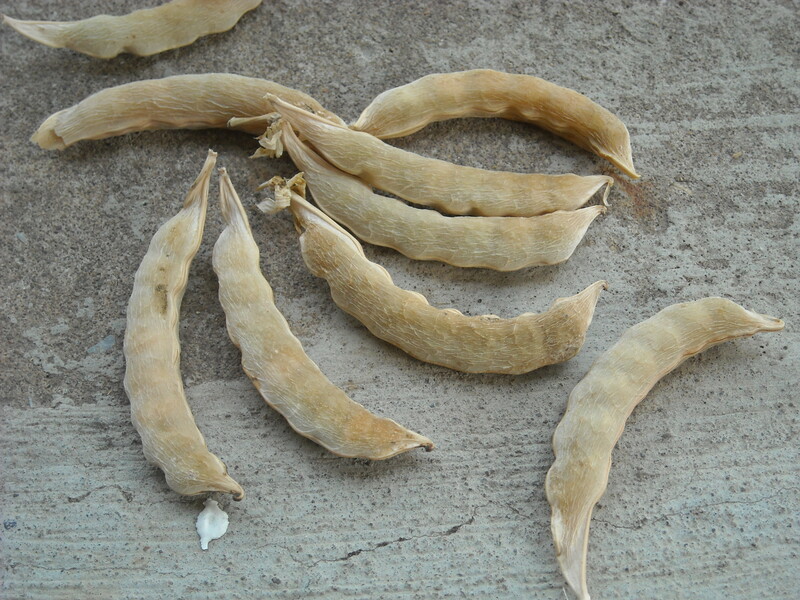 – Then I shell the pods to remove the dried seeds. – I then let the seeds sit in an open container to make sure they are completely dried. 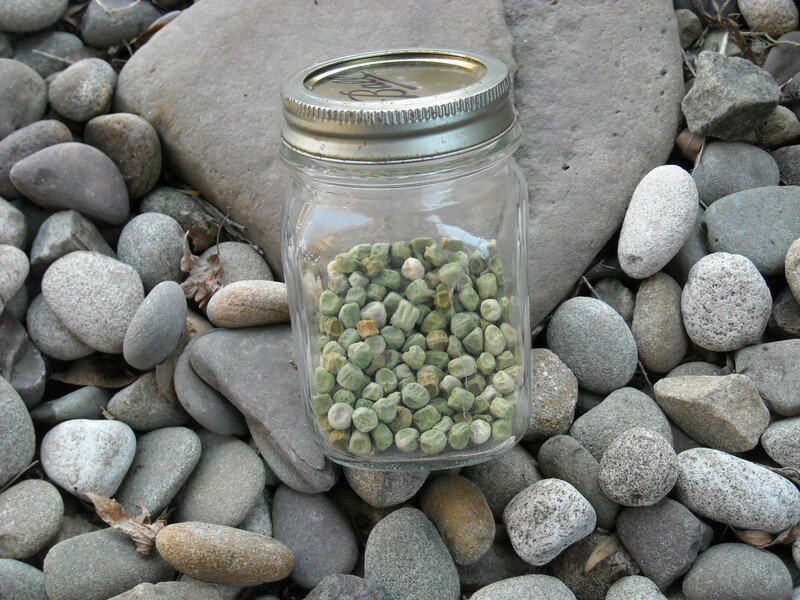 – Once I am sure the seeds are dried I place them in an air-tight container that I keep in an old metal tin. Saving seeds is a lot of fun. This year I am trying to save seeds from several other vegetables. What’s everyone else saving? This entry was posted in Seed Saving and tagged Backyard gardening, gardening, Heirloom Seeds, Homesteading, Organic gardening, seeds, Urban Gardening by M Riland. Bookmark the permalink. I want to save pea seeds and bean seeds, but my spring/summer garden didn’t have those in it, so we will see if any mature that far in my fall plantings. If not, next year. I have saved french breakfast radishes in the past. I didn’t keep a close eye on them, so I had them sprouting in the garden for several years after in that spot. Not necessarily a bad thing!